Or should I say Up – GRADE!?! That’s right, ol’ Lone Server ain’t so “Lone” no more…the Microsoft.com folks finally upgraded me to Windows Sever 2008! Read about my road to 2008 on the Windows Server Team Blog. I want to thank everyone who supported me through my times of doubt: folks at Microsoft, readers who have shown support, people who have blogged, Facebook friends etc. And lastly to all my Windows Server 2003 buddies working hard for their companies across the industry…hang in there, you are not alone. Well it’s here. 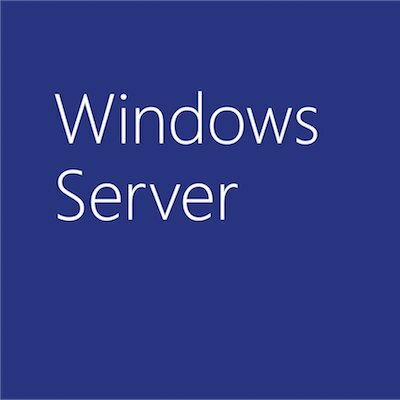 Windows Server 2008 has released to manufacturing. I remember over a year ago when the first WS08 came online. We used to call ’08 our “intern!” Back then he was the “Lone Server,” and all of us WS03’s thought we had job security – at least until WS08 launched, for goodness’ sake. Nope, they had to go and make it the most tested version of Windows Server ever. Yeah, tested by every server but me. Now they’re everywhere, like weeds in the garden of my microsoft.com paradise. Not that any tears are being shed for yours truly. The other day I heard some engineers shooting off their mouths about how much easier the new servers are to configure and manage. They kept saying the word “agility.” One of them said “TCO.” Like I wasn’t even there. I thought security would be the Achilles heel for these upstarts. I wish that I could tell you stories about getting attacked. But no, the new servers didn’t miss a beat. Of course not. Oh, and don’t let those looks fool you –underneath the smiles, every new server’s got what the marketers call a “hardened” core. Amen, brother. I can testify. Well, I’m sick of sitting on the sidelines. It’s time to take matters into my own hands. I’m officially going on the job market, joining all the other Windows Server 2003’s out there looking for an upgrade. I’m dusting off my resume and making a date with several of the new solution accelerators. Hopefully I’ll snag the attention of someone at MS.com who will UPGRADE ME to Windows Server 2008! Once I was almost famous. For years, my friends and I were on the front lines: we were the Windows Server 2003 servers that powered Microsoft.com, one of the hottest Web sites in the world. Then, early last summer, everything changed. Quietly, without warning, the new kids took over. Windows Server 2008. Yes, I know, the product’s not even done yet. These were Beta 3 servers, for Pete’s sake. Long way from prime time. But there they were, humming away. No problems. All of ‘em on Windows Server 2008. Except me. The last Windows Server 2003 left at Microsoft.com. If you’re like me (and I know I am), you probably wonder how a product that’s eight months away from shipping can be handed the responsibility of running something as big and important as the Microsoft corporate portal. Fact is, Windows Server 2008 was lurking around MS.com since back when they still called it Longhorn. Those early bits first took live traffic back in ’05. And since then, WS08 has been everybody’s favorite kid. They called it part of the development team. Said it was a prodigy. Given all the cool little jobs. But then, suddenly, to be given the whole enchilada? All of MS.com? While still in Beta friggin’ 3? Unimaginable, but there it was. My only hope is that some hero will come along and bring me some kind of, I don’t know, redemption. Call me a dreamer. But really, what else can I do? No matter how you cut it, I’m not long for this datacenter. I won’t tell you what I actually do now on Microsoft.com. It’s too embarrassing. Let’s just call it a serious fall from grace. However, I do try to keep busy. In addition to blogging in my new free time, I’ve been visiting some of the Seattle area’s finer drinking establishments and updating my Facebook page. I do have time on my hands, so I’d love to hear from you! Home: Seattle, Washington — Home of the Seahawks!